A new program will allow low-income families to purchase goods that they might not have access to locally. Earlier this month, the U.S. Department of Agriculture announced an ambitious-sounding pilot program that will give participants in Supplemental Nutrition Assistance Program (SNAP)—best known by the colloquial term “food stamps”—a way to purchase their groceries online. The two-year trial, which will begin this summer, provides low-income Americans in seven states with a system to have eligible items delivered to their homes through retailers like FreshDirect, Amazon, Safeway, and ShopRite and to pay for them using federal benefits. "Online purchasing is a potential lifeline for SNAP participants living in urban neighborhoods and rural communities where access to healthy food choices can be limited," said USDA Secretary Tom Vilsack in a statement. 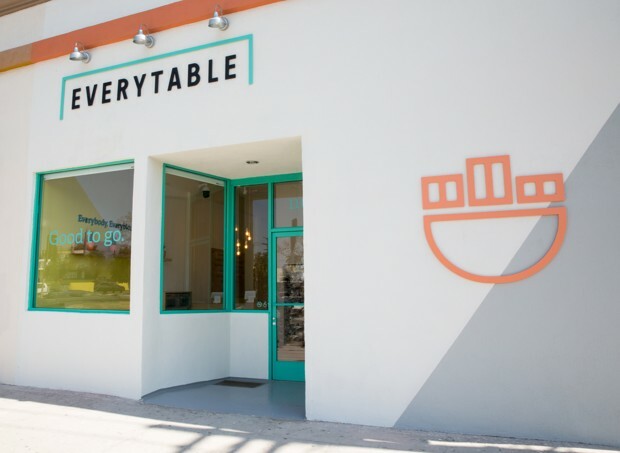 Everytable has come up with a unique pricing model meant to make fresh food available at any income. The initiative is actually a provision of the 2014 Farm Bill, which requires the USDA to test an online ordering program. If the pilot succeeds, it could expand nationally, which would theoretically provide more than 43 million Americans who receive SNAP assistance with a new way to access healthier food. But despite its clear benefits, particularly for those with disabilities, limited transportation, or the millions of low-income Americans in food deserts, the success of the program is anything but certain. A number of factors including existing consumer habits, associated costs, and internet access could dim the prospects for the idea, while external opposition from lobbyists could potentially could block its full-scale adoption. In addition to good publicity, part of what lured seven retailers from Maryland to Iowa to Oregon to apply to participate in the USDA program was the chance to expand their customer bases, and increase revenue. Companies from Amazon down to Hy-Vee—an Iowa-based grocery—will collect delivery and service fees from these new transactions, fees that cannot be paid for with federal benefits. The retail partners also offer a host of food items that are not eligible for SNAP funds. What this may ultimately beget is a dynamic in which the convenience of the pilot program is overshadowed by the extra costs and logistical complications associated with delivery, along with the need for multiple forms of payment SNAP users will need to complete an order. Another challenge facing the program is the demographic overlap between SNAP recipients and Americans without internet access. A recent 2016 Pew survey shows that those most likely to lack regular access to the internet are lower-income minorities, particularly skewing younger and older. According to federal data, SNAP recipients—relative to the American population—break down along similar demographic lines, with over half of federal benefits given to children and seniors. Meanwhile, roughly 20 percent of Americans are primarily dependent on their smartphones for internet access, which could hamper the ability to navigate a complex online ordering system. And aside from the logistical challenges, once unveiled, the SNAP Online Purchasing Pilot seems poised to face political opposition from associations representing brick-and-mortar stores—who fear the program will cut into their margins. Following the reveal of the states participating in the pilot program, local retailers that might be affected quickly condemned the USDA initiative. "With supermarkets disappearing from neighborhoods in all five boroughs, this pilot program will only accelerate the trend," New York Association of Grocery Stores spokesman Brad Gerstman said in a statement. Meanwhile, in Annapolis, Cailey Locklair Tolle, the head of the Maryland Retailers Association, told the Baltimore Sun that she had received several calls from businesses about the program. “Any time you tinker with any part of the revenue for a grocery store, you can literally send them in the red very quickly,” she said. Despite these obstacles, the biggest challenge to the pilot program may come from the intended participants, whose habits may be difficult to change. A 2012 RAND study shed some light on the preconception that access to healthier food, particularly fruits and vegetables, materially translates into better diets. The study found limited compelling links between food environment and food consumption, meaning that the easier availability of quality foods may not trump consumer preferences for junk. And as I noted last month, large food companies have also sought to step into this breach, offering more products with less fat and sodium, only to find that they sell poorly. Online, people are still likely to want what they’ve always wanted. Gripping photos show what decades of segregation looked like in Nelson Mandela's home country.